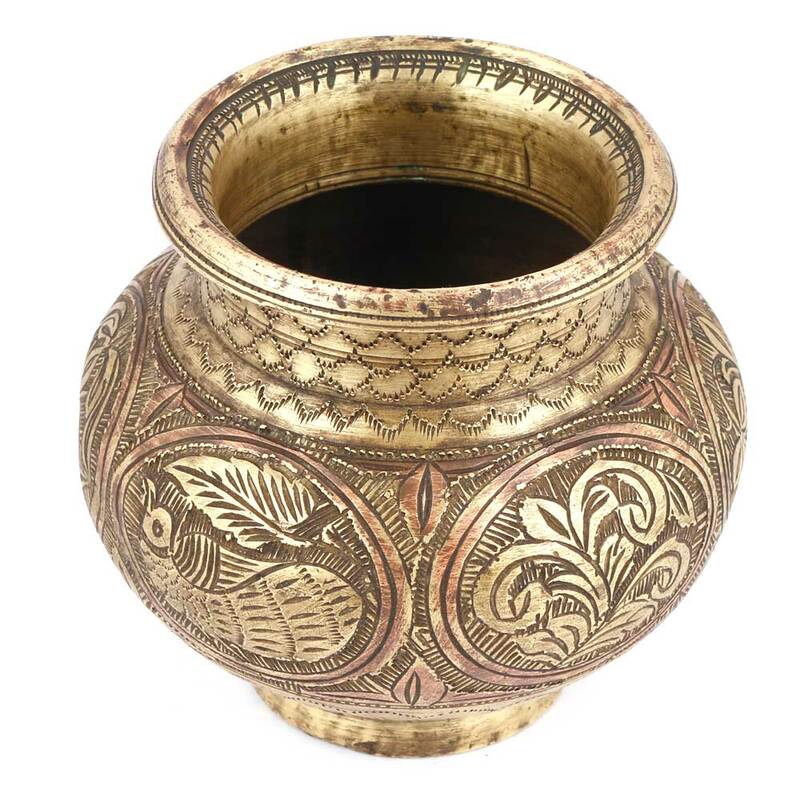 The pot is made of bronze and is handmade by the skilled craftsmen of India. 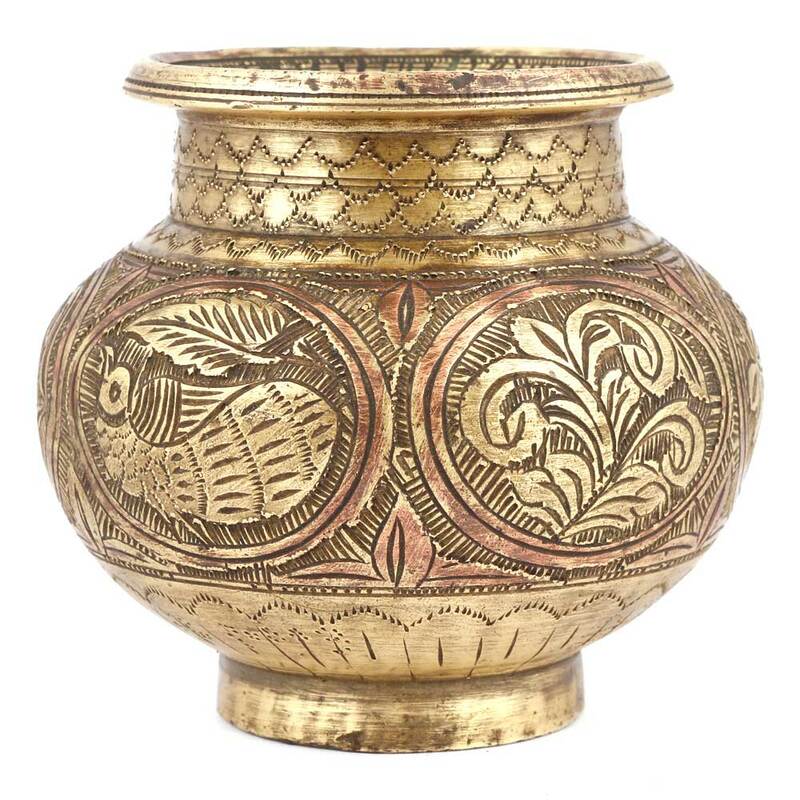 This pot has ver fine and detailed engraving that too very beautifully done. It has flowers, leaves and peacock engraved very beautifully and it can be used for gifting, decoration etc.